96% Improvements on photo damage, smooth skin and firmness. 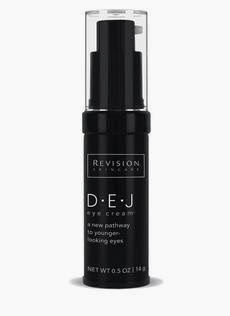 90% Firms and smooths the skin of the eyelid, unique to this product like no other! 96% Improvement on skin elasticity. Dipalmitoyl Hydroxyproline- Moisturizes and Smooths. Palmitoyl Tripeptide-38- Improves Fine Lines and Wrinkles. Methyl Glucoside Phosphate Proline Lysine Copper Complex -Renews and firms skin. Goji Fruit Extract - An Antioxidant to help with free radical damage. Sunflower Seed Oil Unsaponifiables - Powerful Moisturizer. Vitamin C (THD Ascorbate)- Antioxidant and Skin Lightener.